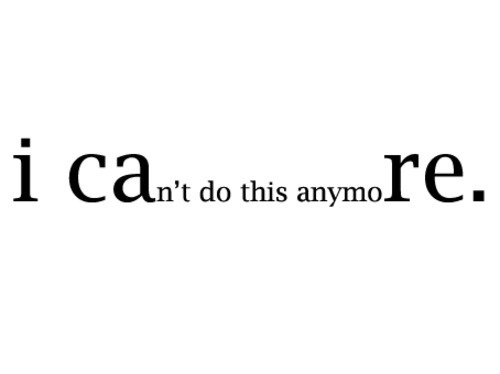 I Care About You BUT I Care About Myself More! I broke up with him on Valentines after he cheated on me ... We was 12. This is the month of love, doesn't matter if you are single, it's still a time for you and your other single girls to get together and do something. Don't fall into that thinking that it's only a couples day. Case in point, I've been in two relationships where the guy didn't believe in Valentines day, therefore, just another day for me with a boyfriend. My very first boyfriend Daniel was a childhood best friend of my now best friend Darrel and I thought Daniel was the best looking boy since I discovered a kaleidoscope. As 12 year old's do, their friends go ask the boy, would you go out with so//so this was no different. He took me to the Youth Club Valentines Day dance ... well we walked together got their and dispersed into our cliques. The following Monday was Valentines day, what day? To me that meant nothing and Naomi ( girl in my class ) knew that and had made me a card for him using those airbrush design kits and that was my gift to him, his to me was a card, box of roses and quality street. Sweet and it seemed he was excited for Valentines. He cried, had his friend call me to take him back. Had my friends call me to try change my mind but even then, I didn't want to get into this pattern of taking back a cheater. 12 years old, young and it's not serious but to me, I am serious and didn't feel I deserved someone like that. 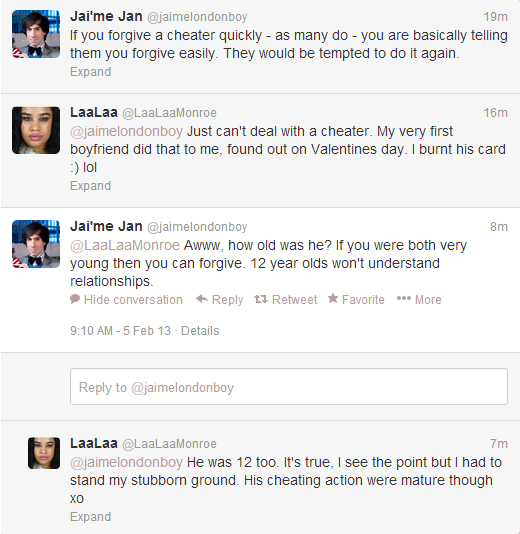 His cheating actions were mature, what he did whilst cheating was beyond a 12 year olds mind. We've spoken since, a few years ago on Facebook. We bonded over our loves for tattoos and he said it was good what I was now doing (ref this blog). Since then he's had a baby and been in prison, that jailbird broke my 12 year old heart but he's remembered because as much as I crushed on him and wanted him, a cheater I cannot abide at any age. Woo..I am not loving to forward to valentines at all. My first ex cheated on me with 5 other girls at the same time in 2009...like an idiot and because he was my first bf, i forgave him..then found out he did it again with ANOTHER girl called Stephanie. =/ O_O. 4 years later, they are engaged and living together. I'm not saying i'm bitter, but damn it hurts LOL. All you can do is laugh really! What a pig. 5 other girls at the same time, the greed! Shouldn't consider yourself an idiot babes, you live and learn, you did what you thought was good for you at that time. Yeah it would hurt, gosh even when I was that young, he was my first major crush but I just couldn't forgive him for that, sound so weird lol 12 years old, would of thought we was in some big romantic love affair. Valentines is just another day and it's quite true, why do we need one day to really show we love someone.